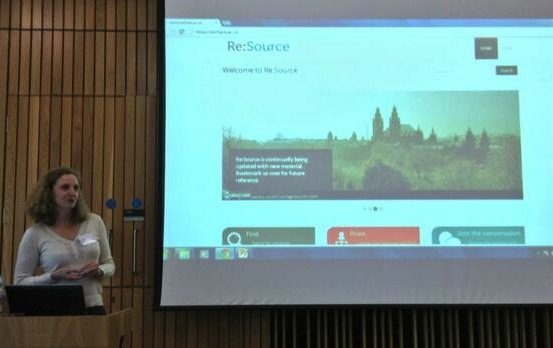 We’re very pleased to welcome our second Open Scotland guest blog post by Sian Bayne, Jeremy Knox, Hamish Macleod, Jen Ross and Christine Sinclair about their highly successful E-learning and Digital Cultures MOOC (EDCMOOC), being run by the University of Edinburgh on the Coursera platform. 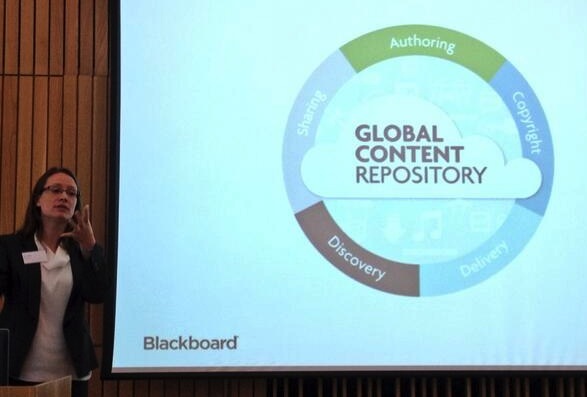 You never forget your first MOOC, and that’s true for teachers as much as for learners. But what of the second time around – perhaps the novelty wears off and it can just be left to run itself? That’s certainly not been the case for the team for E-learning and Digital Cultures (EDCMOOC); we have been finding ourselves in a new phase of learning about teaching at scale. 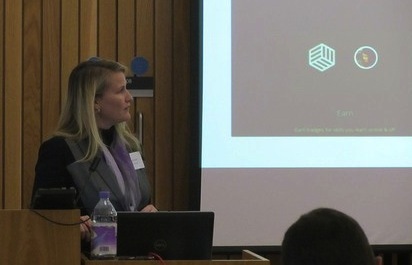 EDCMOOC ran as one of the University of Edinburgh MOOCs on the Coursera platform first in January/February 2013 and for the second time in November to early December. It will run at least one more time under the current arrangements in place. The second run has provided an opportunity to experiment with teaching presence, and to further our critical reflections on how MOOCs might inform our research and pedagogy within and about digital environments. With six new short videos and videoconference via Google hangout every week (as opposed to just twice, as the first time), the teaching commentary on what’s happening within the MOOC has shifted from regular blogging to a televisual mode. This is our first blog post for EDCMOOC2, written at its midpoint when we are starting to build up a picture of some messages from our second run. Teaching Presence – how important is it for teachers to be seen? 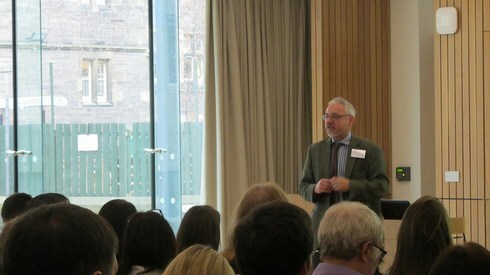 Teaching presence has always mattered to us in our online MSc in Digital Education programme. There, with course cohorts that never go above 40, we have developed our presence through orchestrating engaging experiences, engaging in online dialogues, and providing feedback that ‘can be digested, worked with, created from’ (Ross, Bayne et al, 2011). While our students can see our photos and avatars, we don’t routinely provide videos of ourselves giving online ‘instruction’. Students on our MSc speak of a connection and closeness from our critical engagements online, both asynchronously and synchronously. They often claim to experience far more interaction with teachers and fellow students than they have in any other educational programme. 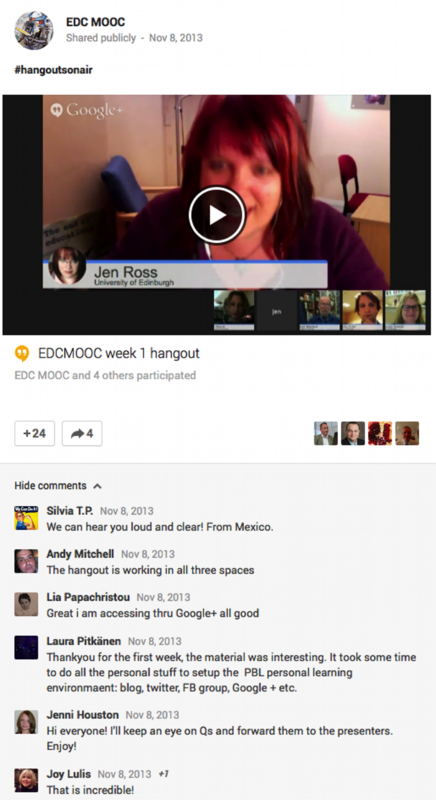 We were therefore somewhat taken aback at the overwhelming reaction to our informal Google Hangout discussions during the first run of EDCMOOC. Again, the ‘connection’ word was used frequently as participants seemed relieved to see their teachers and to be able to make comments at the same time. It was one of the strongest messages that we received, reinforced by an early question in the discussion forum: ‘Where are the professors?’ And so we decided for the second run not only to have a Hangout each week but also to provide videos that introduce ourselves and our themes to help the participants to orientate themselves. This embodied approach to presence has felt slightly uncomfortable because it has taken us closer to the ‘over-celebratory fetishizing of the teacher associated with some MOOCs’ that we analysed critically before we embarked on our MOOC (Knox, Bayne et al 2012). And yet this form of presence has proved to be one of the most commented-on features of our activities. While it is reassuring that the need to ‘see’ us suggests that the potential overthrow of the teaching role is greatly exaggerated, we are more interested in establishing good dialogues with our participants and encouraging them to fashion their own ways of engaging with the course material than we are in attaining guru status. Our introductions and hangouts are still not ‘lessons’ as such, but give us an opportunity to provide guidelines to the kinds of connections we are seeking to make between education and digital cultures and, in the hangouts, to focus on the work being produced by MOOC participants. And some of these connections challenge the very notion of ‘the human touch’ that our televisual selves might seem to offer. So we have included more video in the second instance of EDCMOOC as a way of further exploring the potency of the visible teaching body, but also to question the supposed replication of face-to-face as the privileged pedagogical mode. One of the key ideas that underpins our team approach is the idea that the digital makes education different, and we are interested in questioning the notion that video renders invisible the mediating technologies of the MOOC, and provides straightforward access to the teacher. 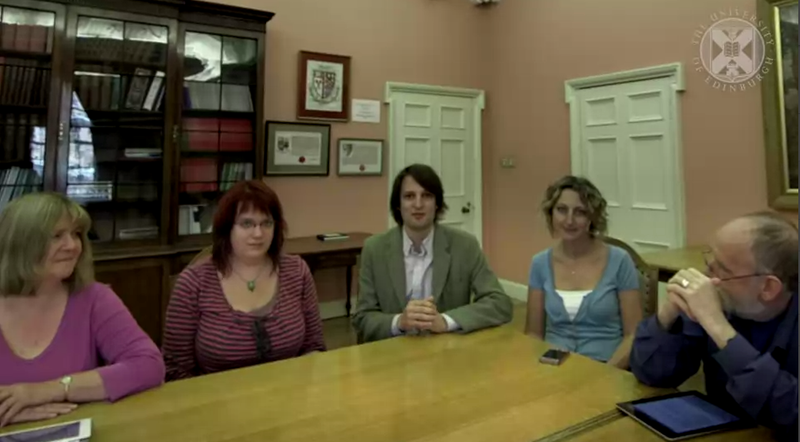 The other side of this new perspective on presence is the role of the people taking the MOOC. Participants have responded very warmly to being mentioned in hangouts as we comment on their blogs, their forum postings and their digital artefacts. 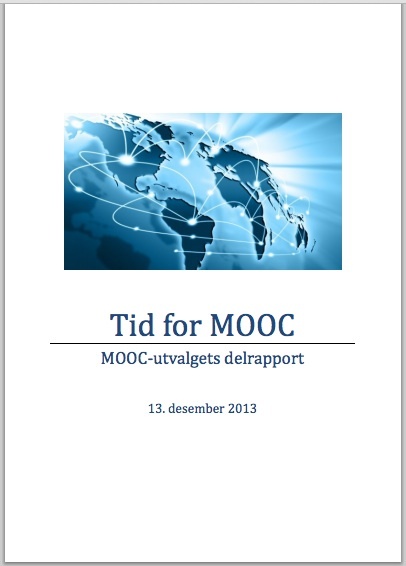 But of course we cannot make this direct contact with each MOOC participant and it would be foolish to try. In a course that works on a large scale, it is perhaps more useful to think of what we can do with thousands of participants, rather than what we can do for or to them. While this has been in our minds from the outset, we’re now beginning to see how that is working. Jeremy has commented elsewhere on the ‘collective energy and intensity of the multitude’ (Knox 2013), inspired by the display of EDCMOOC1 work organised by the participants themselves. 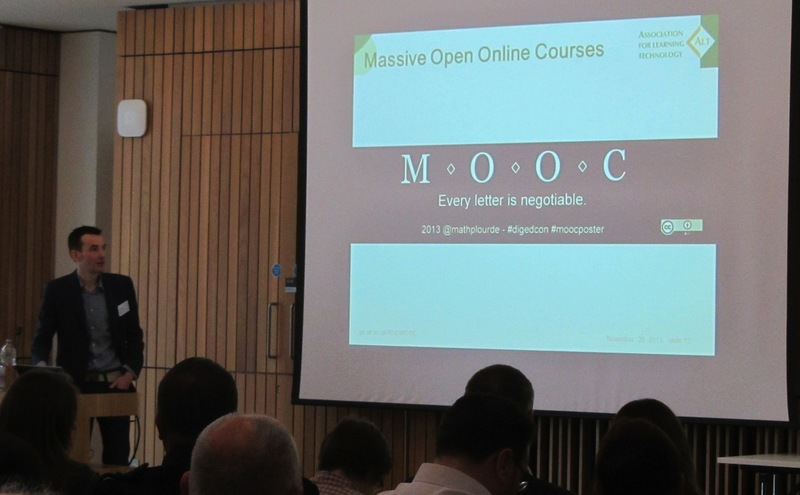 We’re seeing a crossover from that energy to the current MOOC, as it starts to take on its own collective identity. The recording is available but writing a transcript jointly is an interesting experiment. It follows the principles of empowerment, collaborative learning, social networking, peer assistance, media-technology-enhanced learning. Heli wonders whether it can lead to deep pedagogical debate. We think that it has huge potential to do so, reinforcing Jeremy’s suggestion (Knox 2013) that a focus on assessment of individual pieces of work may go against the ethos of the massiveness of the MOOC. 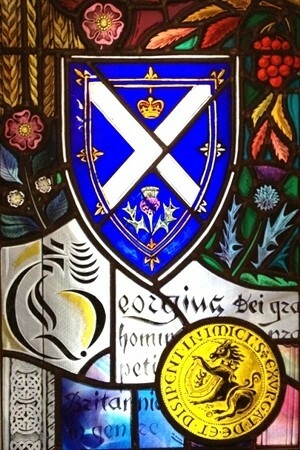 As we observe many connections and creative flows being established in EDCMOOC2, we look forward to the images and other digital artefacts that will be produced between now and the end of the course in December. We do need to begin to think how we should acknowledge the contribution of the multitude to this creation as well as – or perhaps indeed instead of – pinpointing individual star performers. Our own connections, flows, links and opportunities are expanding exponentially in this process too. 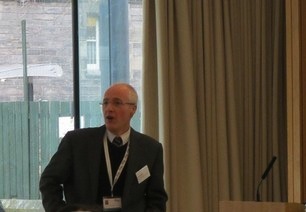 It’s good to share our thoughts in our own blog, to aggregate it into EDCMOOC News – and it’s great to be guesting in the Open Scotland blog at the same time. Such opportunities are only possible through digital connections both locally and at scale.